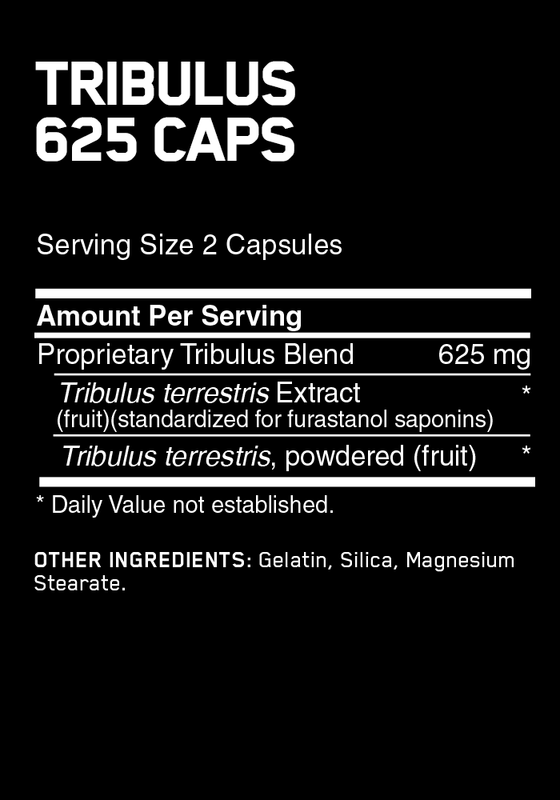 The Bigger Picture of Tribulus: Our Tribulus 625 Caps are made with the finest standardized extracts and powders available, so they provide the unique compounds that have made Tribulus Terrestris widely used for performance enhancement. KEEP OUT OF REACH OF CHILDREN. Store in a cool, dry place. Do not take this product if you are pregnant or nursing a baby. Check with a qualified healthcare professional before using this product if you are under 18 years of age or if you have any known or suspected medical condition(s) and/or are taking any prescription or OTC medication(s).